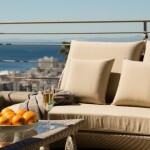 Clifton is beach holiday opulence with an added touch of class. 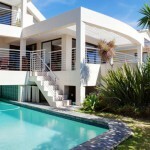 Clifton’s prestigious Bungalows and Villas overlook four of the most wanted beaches in Cape Town. Clifton is the place where millionaires own a bungalow and models bronze up for the summer season. Mingle with the jet-set, glamourous travellers and other discerning beach goers. Clifton Bungalows and Villas line a lush green hill, overlooking turquoise waters and white beaches fringed with giant boulders. Be surrounded by astounding views of nature from your Luxury Villa, with the sparkling Atlantic Ocean beyond and Table Mountain and Lions Head behind you. Clifton’s Four idyllic Beaches are all sheltered from Cape Town’s famous South-Easter wind, offering beach-goers absolute relaxation. Each of the Four Clifton beaches is numbered – Clifton Four is known for Volleyball and evening picnics, Clifton Three is a quieter beach where friends often meet and the other two are great for privacy and a short beach stroll. 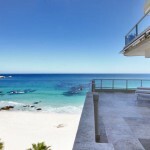 All four Clifton beaches attract Cape Town’s most glamorous set. Clifton offers you the best of both worlds – an area of exclusive homes that’s secluded and quiet and the fun Camps Bay Promenade just five minutes away (with all its world-class restaurants and cocktail bars). You’ll feel both away-from-it all and surrounded with holiday buzz and atmosphere. You’re spoiled for choice for excellent architecture in Clifton. Here Modern Clifton Apartment blocks sidle up to more Classic Beach Houses. Clifton architecture never fails to impress, whether its giant Modernist windows overlooking a rim-flow pool or a charming New England Cladding beach Bungalow. Nothing but the best is good enough for these beach bungalow owners. Clifton is also home to some of the most jaw-dropping architectural wonders in Cape Town – these award-winning wonders offer luxuries that defy reason. Clifton holiday homes offer the best in luxury finishes. As Clifton beach is just steps away, Clifton Villas often offer a small plunge pool or jacuzzi. You’ll find secret paths to the beaches nearby starting from small tropical gardens. Expect real wood or marble underfoot and decks which lead you out to sumptuous outdoor areas. Clifton is perfectly positioned just a short stroll from its own four sunken beaches, five minutes drive from the restaurants of Camps Bay Promenade and Camps Bay Beach. Just a ten minute drive away is Table Mountain and its Cable Car and Cape Town City Centre. Fifteen minutes away is the fun, shopping and entertainment of the V&A Waterfront and yacht rides from Cape Town harbour. The airport is about half an hour away from Clifton, ensuring you arrive fresh and ready to enjoy all that Clifton has to offer.